When things don’t go according to plan, what’s the bottom line for your business? So here you are, satisfied with your business success to date, proud of what you’ve built, perhaps strategising for further growth and most probably looking ahead with confidence. But what happens should the unthinkable happen? Is the business that sustains your family and lifestyle strong enough to survive the death or long term illness of you, a partner or key personnel? Should the worst happen to you, what becomes of your business interests? Will your family be treated fairly or would they have to endure a long, complicated process to resolve your business affairs? 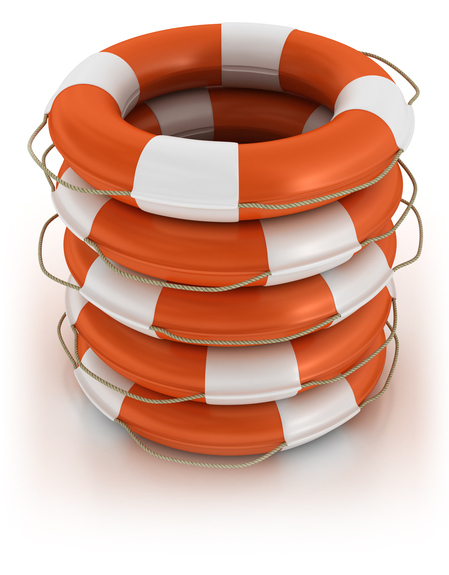 Put it simply, do you have the right Business Protection? With personal expertise in this area developed over the last 10 years, we can safely say that every business is likely to have at least one business protection need. Mayfair can advise on the best structure and a suitable Life Insurance for those self-employed and Critical Illness Protection to protect your business in the case of financial fallout. We do not charge fees for our advice and policies can start from less than £10 per month. How can you face the future with confidence? When deciding on a suitable business protection solution for you, our aim is to ensure you’re prepared to deal with a range of potentially difficult circumstances, confidently and cost-effectively. Just ask us, we’ll know the right answer for your business protection needs. 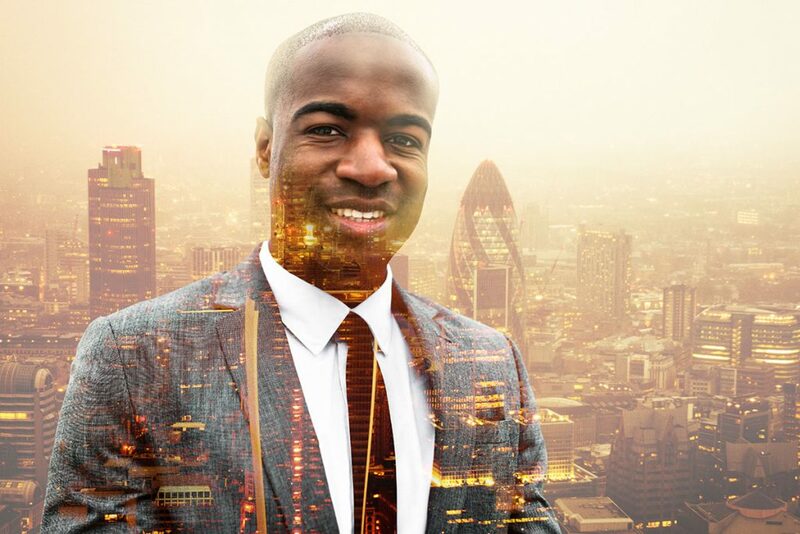 Key Person Protection Insurance, commonly known as Key Man Insurance, is designed to protect your business from the loss of one of its most valuable assets – your key people. What would happen if the key person in your business couldn’t come into work tomorrow or for the foreseeable future? Apart from work going undone and key contacts being lost, how would your customers, people, suppliers, competitors and bank react? It’s likely that’s you’ll need to hire extra help, your staff may be concerned about their jobs, your suppliers may be worried about payment, competitors may feel more confident about approaching your customers and the bank may seek reassurance about the future of the business. With a Key Man Insurance policy in place, a cash lump sum will help your business through the financial fallout that can come with the death or critical illness of a key employee or business owner. And you can use the money as you need to; to pay wages or suppliers, or to protect your reputation in the marketplace. For many businesses, in these circumstances, having a Key Person Policy in place gives them the best chance of survival, for when that person is ready to return to work or has been replaced. Many factors can affect your ability to repay a business loan. So it makes good business sense to protect against those that may affect you directly. If your business has outstanding borrowings such as a bank loan, commercial mortgage, Director Loan accounts, or if you have given the bank personal guarantees relating to the business, then Business Loan Protection could help you. Business Loan Protection is designed to enable a business to repay specific debt if a key employee or business owner dies or is diagnosed as critically ill, before the debt is fully repaid. Business Loan Protection, can make sure a business debt secured on business assets, or even your family home, doesn’t put your assets or home at risk. The consequences should something happen can be much more far-reaching than you think: beyond potentially losing your business, you may also lose your home if it has been offered as security for a bank loan. Banks often specify Loan Cover must be in place with the policy often assigned to the bank. In the case of Director’s Loan accounts, any balance owed to a Director in the event of their death must be repaid before the estate can be released. Overdrafts can be recalled by the bank at any time, often severely limiting working capital and requiring funds to be found immediately. Personal guarantees may mean that, if you were to die and your partner were unable to service the debt, your family’s home may be at risk, leaving them in a precarious position. 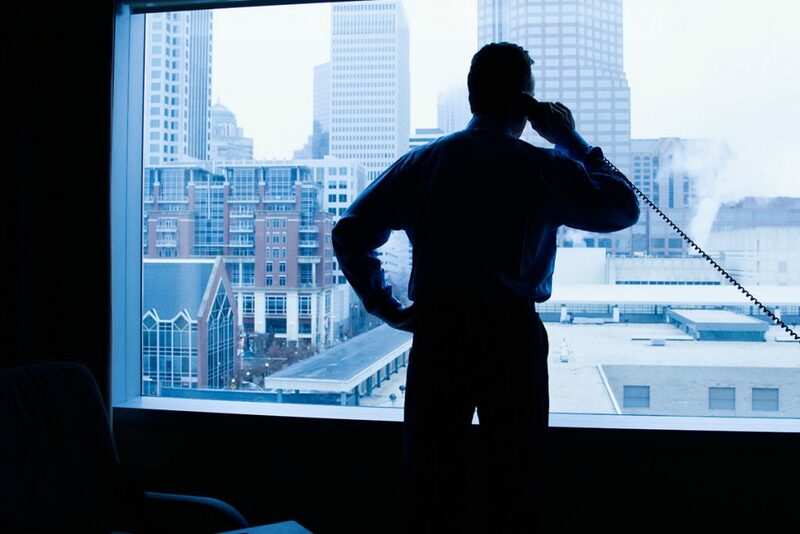 The real question is, can you afford not to have Business Loan Protection? Have you considered what would happen to the shares of a shareholder, if something unexpected happened? If your business is critical to your income, your retirement and your family’s lifestyle, it makes sense to protect it. Shareholder Protection or Ownership Protection offers peace of mind for you, your business partners and the long term future of your business, while taking care of your family financially too. Shareholder Protection is a vital tool to provide you with a lump sum in the event of death or critical illness and this would enable your company to buy the shares of the relevant business co-owner. Raising capital to acquire shares if the spouse or partner decides to sell. Ensuring the spouse or partner receives a fair price for the shares. Avoidance of the shares falling into the deceased state. The introduction of an unsuitable buyer of the shares. Unfavourable prospects of the spouse or partner keeping the shares. Any impact on the confidence and productivity of employees. Attraction from competitors and the poaching of key staff. We understand how hard our clients work to build their businesses, making many sacrifices along the way to create regular income, build an asset and provide for their family. In that context, we strongly believe that not having Shareholder Protection is a false economy. The real question is; can you afford not to have it? Providing added peace of mind for your people is a benefit to both them and your business. As part of a wider benefits package, a tax efficient Relevant Life Plan (RLP) can help to attract and retain the best people. Which in turn will help your business to thrive and grow. RLP offer life cover that is highly tax efficient – in fact, we can show you how this type of policy may be able to save up to 50% on the cost of a conventional life policy. A RLP is a simple term assurance product popular among owners of Limited Companies. We listen to your circumstances and advise on a suitable policy to meet your needs. Set up and paid for by the employer, the Plan will pay out a tax-free lump sum (under legislation current in tax year 2015/16) to the employee’s loved ones, should they pass away during the term of the policy. RLPs make it possible for employers with just a few employees, high earners and Directors to take advantage of ‘death in service’ benefits. 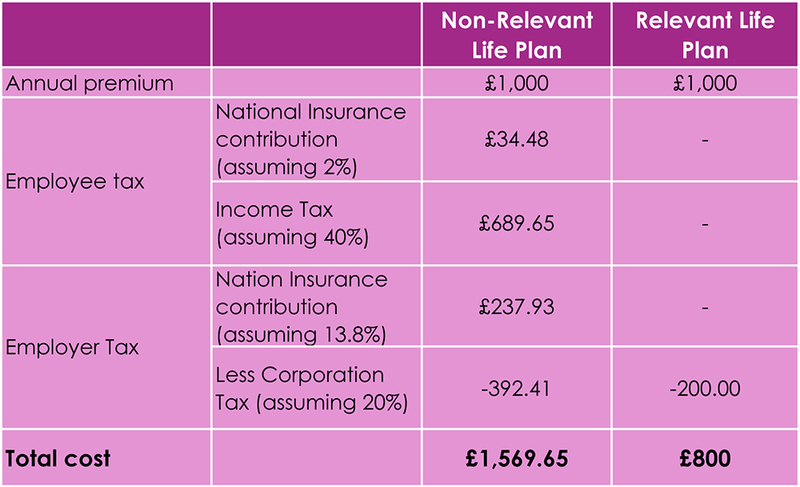 If all qualifying conditions are met and your accountant is aware of the tax consequences of the RLP, then the arrangement can save over 40% if the life assured is a basic rate tax payer, or almost 50% if the life assured is a higher rate tax payer (under legislation current in tax year 2015/16). We can work directly with your Accountant, answering their queries and ensuring you benefit from the tax savings. In our experience, we have often seen Company Directors who are paying too much for their personal life assurance from their personal finances. A RLP will help ensure you are covered, without compromise, in a tax efficient manner. We’re happy to discuss the excellent savings that may be possible with your Accountant and advisors from the outset. Unfortunately, sole traders, equity partners of a partnership or equity members of a Limited Liability Partnership cannot take advantage of RLPs. If that’s you, ask us what your best alternatives are.